An educated consumer may have been Syms' best customer, but if you are a car dealer, they can be both a blessing and a curse. Besides being educated, today’s auto buyers are picky. They want what they want. And it’s not always easy to anticipate. I’ll admit I’m no easy customer. My current car is a lovely shade of dark green, and it’s unlikely I’ll buy another vehicle that’s not green, since my allegiance to Michigan State University knows no bounds, especially during the NCAA basketball tournament. Green, as in eco-friendly, is also becoming more desirable, and it’s not just electric or hybrid options that are attracting attention. At the recent Geneva Auto Show, Polestar, the Volvo Cars performance company and brand, announced that it will offer a vegan interior in its new Polestar 2, which goes on sale in the U.S. early next year. 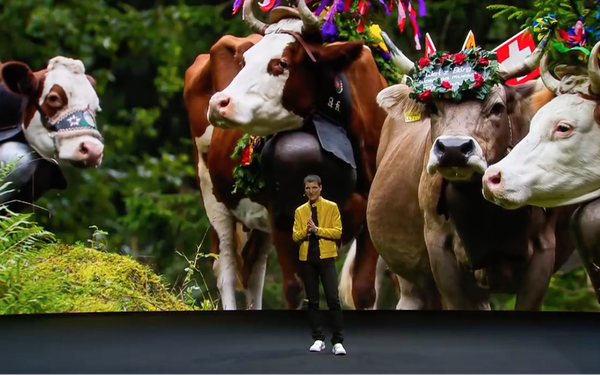 When Thomas Ingenlath, the chief executive of Polestar, made the announcement, the backdrop was an image of cows. “I will spare you now the video of mass production of leather,” Ingenlath said. The pitch underlined carmakers’ assumption that electric car buyers will skew green. The primary motivation of a customer who wants an electric vehicle “is being friendly to the planet,” Olivier Murguet, executive vice president for sales at French carmaker Renault, told The New York Times. Data from Sprout Social proves that eco-friendly interiors are going to be a smart move for automakers. The research company found that 71% of consumers agree environmental issues are a sociopolitical topic brands should discuss to unite people on social -- and 81% of consumers think there's an appropriate time for brands to address environmental issues. It is important for automakers to connect with their audience about things outside of their product, says Kristin Johnson, director of communications and content at Sprout Social. Before they weigh in, brands should listen to their consumers to understand what they care about and engage in these important conversations responsibly and authentically, Johnson adds. Volvo is hardly the first to offer fake leather, but they might be the first to highlight it during a press conference. In 2017, Tesla dropped all mention of leather seats from its website — without fanfare, which is unusual in and of itself for Elon Musk. Now the only seat options available for Tesla vehicles are made of vegan leather. One of Tesla’s stated missions is “to accelerate the world’s transition to sustainable energy.” However, consumers who want a totally vegan interior will have to remember to choose the steering wheel wrapped in vegan leather, since the leather steering wheel is still standard. Toyota also offers options for eco-conscious consumers: SofTex, a synthetic material that mimics leather and is actually said to be more breathable. SofTex weighs about half as much as leather and generates about 85% fewer CO2 emissions and 99% fewer volatile organic compounds than conventional synthetic leather. While Toyota has Softex, Lexus offers Nuluxe, which offers similar benefits. Some reports say that the faux leather that Mercedes Benz offers is so luxurious that most people don’t even realize it’s synthetic. Called Artico -- short for “artificial cow” -- it comes standard on a number of models. Range Rover also offers leather-free choices for its Velar SUV, targeting ethically minded customers with a cloth option. The interior combines a wool blend with faux suede made from recycled plastic bottles. The car also features perforated “Luxtec” leatherette on the dash and door tops. Land Rover design director Gerry McGovern says luxury cars are changing as people become more aware of how materials are sourced. That idea could definitely change as informed buyers realize there are more options that will allow them to put their money where their mouth is -- at least when it comes to eco-conscious goals.